About two years ago, Secretary Shinseki made the decision to award presumptions of service connection to certain diseases that may have been caused by exposure to Agent Orange during the Vietnam War. That decision added nearly a quarter of a million claims to an already stressed backlog, but it was a long overdue victory for Vietnam Vets and their families who waited too long for action. Today, VA announced that nearly all of the 230,000 claims for Agent Orange presumption for diseases including ischemic heart disease, hairy cell and other chronic B-cell leukemias, and Parkinson’s disease have been processed, which has put $3.6 billion into the hands of Vietnam Vets and their survivors. The most experienced raters, about 36 percent of all employees who handle claims, were put on these claims to get the claims finished as soon as possible. Now that nearly all Agent Orange presumption claims have been completed, the 1,200 claims workers diverted to this unprecedented action will return to normal duties. This will surely help tackle the backlog, which significantly grown as Veterans return from Iraq and Afghanistan and file more complex claims at a higher rate than ever before (45 percent of new Veterans submit claims after service). VA completed one million claims in each of the last two years, an unprecedented number, but the amount of claims submitted outpaced those numbers. VA has put together a transformation plan that emphasizes technology and new processes to finish claims faster and more accurately. The Veterans Benefits Management System is on its way to 16 regional offices this year, and will be found at 56 regional offices by the end of next year. Veterans who may qualify for Agent Orange presumption include those who were exposed based on duty or visitation in Vietnam or on its inland waterways between January 9, 1962, and May 7, 1975; exposed along the demilitarized zone in Korea between April 1, 1968, and August 31, 1971; or exposed due to herbicide tests and storage at military bases within and outside of the United States. Check out the Agent Orange Fast Track web site if you think you may be affected by the diseases listed above as a result of Agent Orange exposure. So when is the VA going to do anything about the Edgewood Arsenal Experiments claims? Or will they continue to wait for the remaining MEDVOLs to die? I understand it is already at 43%. As today, disabled vets are shown-Physically Disabled Vets. The VA, as most others, avoids presenting the mentally diabled-as though an enemy did not cause their wounds. The psychiatrists,using unscientific means: there is no predictability to their work as you are aware. The physchiatrist starts out with the vet being the sole cause of his condition:everyone else is right and correct:only the Vet is wrong. THE VET CAN NOT WIN:HE IS SHUNNED.Publish the success stories of mentally ill patient:including their families. Let the nation find pride for them-and hope. I have been there and done that as your records show. I am a Thailand Vet, 1969 and have applied for A/O due to Prostate cancer three times, and my final appeal is on their desk.. I do not hold much hope in getting this as there may have been admittance on the Air Forces’s use and that it was used on the bases in Thailand, but they are very slow and not very proactive on allowing the claims. There are photos, places, docs sent showing my exposure to the areas sprayed, (my work area was the bomb dump and flight line) but still denial of claim. Navy VN Vet 67-68 Danang to the DMZ, conducting amphib ops. Spent a lot of time at anchor in Danang. Heard that type 2 Diabetes was connected with AO in June 2010 had been diagnosed in 2005. Got letter from my Doc and submitted claim to VA thru the DAV in July 2010. In Aug 2010 found info and copy of my orders to leave the ship and fly to Danang. VA approved claim in Jan. 2012 with back compensation to July 2010 both for Type 2 and neuropathy both legs. Also tintinitus and increased for elbow injury while in service, combined rating of 60%. My experiance with the VA in Boston has been very positive. I’ m 66 and retired so every bit helps. i went through the exam for heart problems associated to agent orange in feb received a call it was approved would hear within a month,not hearing from chicago va i contacted dept of veterans affairs who told me i would hear within a week.did not hear from chicago va as of yet its july already,guess im just not important enough for chicago to do its part,was in vietnam 1965-1966.dont tell me ur caught up because im very flustrated with waiting for chicago to do the right thing. John, it looks like your local va rep could get you the status of your claim…i’m not from your state, but we don’t get phone calls letting us know about a claim here. We get a letter stating the staus,” like received but a decision has not yet been made”, etc. If I was you I would contact them again to make sure they have your correct address, etc.. and ask them if you should have received a letter . In fact, here, my husband got a letter every month to keep him updated on the status of his claim. Don’t just leave it alone, check with them, you deserve it …Thank you John for your service to our country. My husband was recently granted his 100% service connected disability from Agent Orange…You know a speedy decision is sometimes neccessary for the benefits of the spouse if anything was to happen to the husband.. My husband is actually closer to 200% if you added all his % together…I wonder if it matters if he continues to try to get his percentages increased once he reached the 100%…Would it matter for survival benefits if he was to die of any of his service connected disabilites as to what percent they were ??? Also, we lost our son to AML (leukemia) when he was 14 in 1997..I recently discovered that the government at one time suspected a link between AML in the children of Viet Nam Viets..apparently they did surveys, however nobody ever ask us or connected my son to their survey..Apparently the government decided not to take responsibilty and i learned that the surveys are still occasionally done but by volunteers ..sounds like the govenment isn’t wanting to know the truth to us….I’m so angry, i lost my son to AML, and our daughter (my husband’s only other child) has a brittle bone disorder, and my husband as been severely ill for years. Does anyone know who i might contact about AML in VietNam Children…all i need is an answer from the government, and i’d like them to take responsibility, that’s the least they could do! Our local va representative really couldn’t care less…..I understand that the Viet Nam Vets who returned to Australia though had a link established between AML and their service in Viet Nam??? Pamela, yes a speedy decision is very important in alot of cases. Example for me my husband is at 90% right now and if something were to happen to him i would get nothing from what ive heard. I believe once they reach the permanent 100% the spouse gets something like 900.00mth. So it really doesnt matter after they reach 100% if its more or not, at least thats what i was told. I am truely so sorry to hear about your son and daughter, i cant even imagine all you have had to endure in life. Just trying to cope with all that is going on with my husband is over whelming for me at times. I feel like im in the dark so many times and dont know what way to turn. So i understand all your frustration that you are going through. for yrs. rc my husband was 90% disabled and 100% unemployabilty..and got the same pay as being 100% disabled…your husband will have to get a slip or request from his doctor saying he is unable to work and he things he should retire, that is what my husband’s cardiologist done and my husband got 100 % unemployability….it doesn’t seem fair that this disease takes away our husbands and we only get part of their pay, it hasn’t just destroyed my husband’s life but it has effected mine as well and you are right there is urgency on our part to try to get the va to take care and upgrade our husband to 100% before something happened to him. Losing our son was the hardest thing that has ever happened to me and my husband and we have been thru alot, i am so furious that nobody wants to even talk to me that we lost my son due to Agent Orange, or that my daughter’s bones are brittle because of the chemical…Finally they have acknowledged that it is slowly eatting away my husband thru his diabetes, pvd, and cad, but then give me $900 if something happens to him is just a WAR CRIME if you ask me. Good Luck RC, i put you and your husband in my prayers! Bill, it really sounds like you are getting the run around…If you served in Vietnam and have diabetes and you were honorably discharged, all you should have to do is contact a veteran’s office and they can submit your claim…you will have to submit your medical records but the va can get those for you if you sign a paper from the va office allowing them permission to get them for you. You shouldn’t have to pay a lawyer to do this for you. I am still waiting for upgrade on disability on heart condition. Had open heart surgery. Now have 4 clogged vessels they can not fix. Not able to work anymore. It been over an year already waiting to upgrade. About to go homeless soon. Still waiting on decision from the VA. Have many health issues. Can’t even get the proper claim for my heart condition. How do you file for all others. It’s sad how they take care of their Vets. Charles, do you have diabetes or ischemic hrt disease. If you do, was honorably discharged, and served in VN, then you would qualify for the Agent Orange disability. There are only certain diseases that the VA will accept and acknowledge as being caused by agent orange…you have to have one of these primary illnesses before they will ever accept responsibility. (you can find a list of these primary illness on any of the veteran websites or your local va rep)..After you get one of the primary illnesses accepted then you can apply for secondary things caused by your primary disease..My husband had a quad hrt bypass, but he has diabetes and that is what qualified him…If you have one of the Specific diseases that the VA accepts make sure you have your doctor put the exact words in your reports. Your local VA rep. should be able to put through a claim for you, you can sign a paper that allows the va to get your medical records, and you can even send the va your own medical records . Be sure if you send the va your records, you always put your va claim # on all your forms, so they don’t get lost among the thousands of other claims..It is not unusual to wait a year or more for an answer, but once they approve your claim you will get backpay, not to the date you filed, but to the date you were first diagnosed with your qualifying illness. why are they lying, i was 100% before dianosed, with AO, the va sent me to the hos,now they won,t pay the bill, and it,s about my AO, they have lied to the public in every war, and every vet, haS SUFFERED thru their b…s…, now they are gonna lie to these returning vets. April 1, 1968 is NOT the beginning of the spraying of herbicides in Korea at the DMZ! This is a bunch of BS and the VA knows it. Why else do they allow benefits to be given to the children of Korean DMZ vets who have spina bifida to children of vets who left Korea as early as September 1, 1967???! What? Did the vet get exposed when he got home in September 1967 by way of the DMZ while at home??!! ONLY the VA would have this kind of logic!!! The VA needs to be FORCED to change the date of April 1, 1968! Filed my first IHD claim in Oct 2009.Had an angiogram in 1990, then in 2004 I was diagnosed with a 5 artery – 10 blockage problem. Had a quituple bypass on 11/11/204 and problems ever since. Received a rating of 10% on January 4, 2011. Filed an appeals, haven’t heard anything since. My VVA Rep states that there are not enough people to evaluate appeals. Now I have Diaqbetes 2, put in a claim for that, and the same Rep indicates that this will take another 2 years to address. By the time its over I’ll probably be toe-tagged. i think part of the problem is that there is alot of reps out there giving bad information…i know for a fact that my husband has received wrong info from his rep, if you have diabetes and proved you served in vietnam then you shouldn’t have any trouble getting your claim approved…i was told that if you have diabetes and are only on (pills) and not insulin that when you get your claim they will give you 20% for diabetes until you go on insulin and at that time you would have to file for an increase…Your coronary disease can be rated as a secondary to your primary diabetes. My husband had to wait about a year for his initial claim and each time he had anything increased it also took a year, but he has now reached his 100% service conncected disabilty. I dont know if im misunderstand what your saying but i believe that you get 20% for diabetes if your taken oral medications but if your on insulin the % will go up but i dont know how much. My husband got 20% for his diabetes. Is that a correct %. Sorry for asking so many questions but all this can be confusing at times and a long/dragged out procedure. Thank you for your help once again. RC, yes that is what we were told by our va rep…that if you are on medications for diabetes, then you usually get 20%, but as your diabetes progresses or you go on insulin then they will upgrade your % if you apply for it….my husband with all his problems that the va has acknowledged and given him secondary %’s for, they only give him 20% for his diabetes (his primary illness) because he still takes medication to control it…he may soon be put on insulin….it doesn’t matter that he takes probrably 20 pills for all his secondary illnesses. You can get to your 100% disability if they approve and acknowledge all the other things secondary to his diabetes like his PVD…they add all the % together that they approve. And I don’t mind the questions, I did the same thing and that is why my husband was able to get his I think….knowledge is power!!!! Check with your local rep also, you’ll find you can get a bunch of diferent stories about the same matter. Agent Orange, is composed of dioxin, the most toxic substance known to man. It is measured in parts per billion, not million, it is so deadly. It causes many differing types of health problems. How about taking care of vets instead of throwing money away on foreign aid? AS 100% WAS WANTING TO KNOW IF ALL AGENT ORANGE ,I AM COVER FOR ! I applied for agent orange claim sept 2011, sent all the required documentation and only received one letter saying they were processing my claim. I have tried to follow the progress using ebenifits but there has been no indication there has been any movement on my claim. I have submitted additional documents and those letters have been indicated as received on ebenifits. I just wish some indication could be given as to the progress of the claim especially by using ebenifits it seems like a great way to keep the vetern and families up to date. Nearly done? I have neuropathy in both hands and one foot as a result of the exposure to herbicides and currently received 20% for type II diabetes. The claim for the hands was denied because it was “mononeuropathy”. Neuropathy is neuropathy! So now I have to wait for a judge to decide. I was diagnosed with neuropathy in my right leg in February and still have not been granted the additional 10%. I would say the Agent Orange (herbicides regardless of the color) issue is far from over. Mario, anything secondary to your diabetes should be service connected and neuropathy is secondary to your diabetes, so i dont know why your having a hard time with your claim. Do you have a rep. working your case? They should know how to submit the claim so it shows secondary to your diabetes. Diabetes causes many secondary problems. Google “things that diabetes can cause” and it will bring up a whole list of medical problems. My husband has 6other serious medical problems caused from his diabetes. I wish you the best of luck and thank you for serving our country. My husband has been trying for compensation since January 2007. He is a Vietnam Vet that has suffered from joint and bone problems, COPD (Pot an cigarettes helped him cope with undiagnosed PTSD and pain), and other problems to numerous to name. He worked hard all of his life and retired from the ARMY/KYNG with 22 years. Never asked for help, always felt someone else needed it more than he did. He did get 10% for Tinnitus. His problems have caught up with him as he has got older (62), still can’t get the help he deserves and needs. My god-father , Horace J. Sampson, died 3 years ago because of this virus. (He had prostate cancer which the hospital said was caused from the agent orange virus. )The VA finally gave him service connected disability, but he died a couple of weeks before that decision. I was his power of attorney at that time. Is it any way that I can get compensated for this? Agent Orange is not a virus. YES, the estate “should: get any compensation that arose from the time he filed his claim until the month of his death. There “should” also be death benefits for the burial providing he died of the disability he was approved for. In other words IF he filed his claim three years before his death, died after those three years, his estate should get the three years of funds he would have recieved. I cannot figure out HOW the VA came up with their numbers of claims for AO presumptives. The VAs own Monday Morning Workload report way back when the new presumptives came out listed “about” 148,000 claims. Now the VA says that number is 230,000 claims. The VAs Workload report also shows the “older” claims at roughly 2800 but the VA claims it is down to roughly 500. These number do NOT include the 405 end products (newer claims) which show they have about 15,000 outstanding claims.. Here is a posting of the VA’s own numbers from the Monday Morning Workload..
681…….63,056 claims on file…………….681…410 claims on file……. 681,687 and 405 are VA end products for Agent Orange Claims(new Presumptive). I filed a claim in 2008 for Prostate Cancer. Was turned down. I had all my hospital and doctors statements. I had my DD214 showing that I was in Nam during the time frame.I had shipmates that have the same problem and have had thier claims approved, they lived in other states. I filed an appeal and hope it will be approved. I was not under VA healthcare at the time, but am now. I think VA does a fantastic job with the healthcare system. I have been fighting to get agent orange compensation since 1999. It is back in appeals just sitting right now. Does that say that the agent orange claims are done? The appeals for agent orange C/P are still backlogged and thats because they either didnt rate it properly the first time or denied it and shouldnt have. These appeals should be simple and fast tracked. They have all the information and medical evidence they need to make a accurate C/P claim, if they would just take the time to read the veterans Complete medical file. I think they are just picking out what they want from the file and making the rating or denial. Alot of times a veteran has serveral different doctors treating them and if they dont read through the complete file, they could be making a incorrect C/P. I agree, what we do when we submit a claim is highlight anything in medical records that we want to jump out at the one examining the file..we do not have to much trouble getting claims taken care of or increased by doing this….You have to know what the VA is approving as Agent Orange related and show proof of those particular things….like Diabetes… Once your primary claim is established that you have an Agent Orange Disabilty then any illness that is caused from your primary illness, for instance maybe vascular disease or coronary disease, then they would be considered secondary to your primary and this can help increase your claim percentage. What medical condition are you filing for? I’ve been trying for years beause I have pheripal polyneuropathy, my doctors have done every test available and the only possible reason for this is AO exposure. But the VA will not change the VASRD code on the rating so DOD denies my claim everytime. Any suggestions? Do you have diabetes? I have diabetes and polyneuropathy which are both service connected from AO. The neuropathy is a secondary issue caused from the diabetes, so any other issues that the diabetes could have cause will still be service connected. No I do not have diabetes, have been tested. My Neurologist and Medidcal doctor both have written letters stating that it is possible to have this without having diabetes. It is listed on the persumtive list. First off see a VA rep and get a name. Have all of your records w/you. I saw a rep about 8yrs ago and was told to submit claim online. All claims for knees and back were denied. As a VN vet I was online on the VA website and I saw the info about Agent Orange. I went to the Regional Office, turned in my DD214, got a service connected ID, and made copies of all my medical and service records and submitted them. I was told there was a backlog when I went to the regional office six months later. I recently went two months ago and was told my claim is in the disability stage. For months it was in the developement stage. July is the month I am supposed to receive a letter as to my status. As for the VA Medical Ctr I have no complaints. They set me an appt, get me in, insure I have all my questions are answered after treatment, and set me up w/a followup. I was using outside Drs for all my illnesses and now I am under one roof. I had a triple bypass in Mar 2010 and a stent done in Jan 2012 due to the arteries closing up again. By the grace of God I am still here. God bless all the vets before us, now and in the future. I think the present vets are going to have a hard time financially with their claims, especially the ones with missing limbs. They will get the treatment needed, funds are a different story. A lot of us are still waiting to be compensated. My father in law told me to get a rep from the disabled vets organization. They will work w/you. He has a rep and is quite satisfied. So look into getting a rep. Fair winds and following seas. It is nice to see the VA is trying to clear up AO claims but we have heard this before from the VA. I’m a Vietnam Vet (1967-68) that has been playing these administrative games with the VA for eight years and still cannot resolve my AO claims. I have had a claim submitted sense Nov. 2009. I have got nothing but the run-a-round from our Government. I’m being treated at the V.A. medical center in Alexandria, La. I have nothing but great things to say about the treatment I receive. If only Washington would take notice from the Doctors and employee’s that treat us, maybe things would go a little smoother. CONT: Pamela i would love to be able to talk with you but i really dont want to put my email or phone number on here, so im not sure how we can work this out but it would be so nice to actually have a conversation with you on all this because i think my husband has the same issues and i try to do alot of research for him, so i make sure allthe doctors are doing the right things for him. Its just getting so over whelming for me now with everything he has. Its like nothing seems to be good on him anymore . He has everything wrong with him from head to toe now. You stated that your husband had protein in his urine on a regular basis also but i dont know what MTR’S on kidney arteries are? What is MTR;s? They say his blood work on his kidneys isnt that bad right now but yet when he did his 48hour urine test it shows extremely high levels of protein in his urine constantly. So i dont know why his blood work is ok according to them. He has cataracts and signs of glaucoma now. We have already done the secondary issues but more and more keep popping up, so we just keep adding to them. I dont think you need to worry about them taken % away from what our rep has told my husband. He knows that all the problems he has that all his medical problems will never get better, sorry to say but its true. Once your diabetes has been uncontrolled for all these years and secondary medical problems appear things usually never seem to be reversed and yes its very scary. Thats why they say diabetes can kill you. Its not so much just the diabetes thats bad, its all the secondary problems that come along with it, when your not aware that you have diabetes. The only reason my husband even went to the doctor was because he could hardly walk anymore and was losing weight. When they checked his blood the doctor flat out told us both he was on the verge of dieing from his diabetes. i also asked the rep about the over 100% u mentioned and he said that it doesnt make any difference as for as spouses benefits. he said the spouse gets 1100.00(or something close to that figure) if the veteran is 100% unemployable and its a service connected illness. Once again ty very much for all your input, it has helped us both and if you can think of a way to communicate withouth the whole world reading this let me know. God bless you and your husband. I noticed you didnt mention your husband having neuropathy like my husband does, so i dont know if you can help me with this are not but his left food is always extremely cold he says. When he mentioned it to the vascular doctor she didnt say much, so i dont know if its because of PAD or his neuropathy? This article is a bad political joke. For me tomorrow 6/21/2012 will be 1 year from filing my initial agent orange claim, 3 months from my last contact from the VA, and about 6 years from receiving my stent (LAD 98% blocked). At the time I told all doctors, nurses, and technicians they had the wrong guy since my weight, cholesterol, family history were all reasonable and I quit smoking 30 years ago. Never made sense until I read about the agent orange connection. I gave the VA my stent record, copies of all doctor and hospital charges for treatment since 2006, a time line of all treatments since 2006, contact information for all doctors and hospital and still I wait. Monday 6/18/2012 I sent a certified letter to the VA asking for status of my claim. Wondering if you have diabetes, my husband had a quad heart bypass and carotid artery surgery and has had his legs opened four different times from vascular disease….but all of these were ruled secondary to his diabetes rating….Diabetes is one of the diseases the govenment will link to Agent Orange as a primary disease, the others i mentioned were all ruled secondary disease caused from his diabetes. He is now over 100% but it took him a few years to get there…The VA paid him back to the time that he had medical proof that he was diagnosed with diabetes. Your absolutely correct about the diabetes and secondary issues. My husband has diabetes and P.A.D. (vascular disease) in both legs and stomach. He also has neuropathy. I seen you made a comment about your husbands legs being open several times. They want to do bipass on my husbands legs and stomach but i asked why they dont try stents and they responded that stents only last a couple years. Can i get your opinion on this issue. Your help would be greatly appreciated because its getting harder and harder for him to hold his job down. He can barely walk anymore and he is on so much meds. RC, sorry i didn’t see your post until just now..My husband also has the P.A. D., he first had the bifem bypass in 2003 to open both legs… it was a major surgery . A year later though in 2004 his left leg began giving him more trouble and they discovered that his left leg had already begin to close, at that time they went in and done a graft on his left leg only, but in 2006 his left leg gave him more trouble and they put in a stent somewhere near the graft….he done well for awhile but a few months ago he had to have two more stents put in that left leg again…the doctor says there is one more operation he can do but my husband wasn’t in a good condition for that operation just yet..The doctor also stated that the stents are just a temporary move. My husband has diabetes and it is controlled (a forever battle) but his vascular disease is severe..One of his carotid is totally occluded, and the other was 90% occluded, so they put in a graft there but he is now having trouble at the graft site…He also now has restricted blood flow in his brain and has went death from the clogged arteries. I wish you lots of luck with the surgery…it is very important that your husband try to exercise to control his vascular disease even when it hurts. My husband also has cornary disease and has had a quad hrt bypass. He was at first only granted a 10% for his heart but recently uped that to 60% and even after all his vascular trouble he was given a 60% on his left leg, he was given 20% for his diabetes, and his kidney arteries are now being occluded, he got 30% for his kidneys…so far they haven’t ruled on his hearing although the doctor said it was vascular that caused his hearing loss. He is over 100% so i don’t even know if it matters what they rule on now, but his rep said that they can take things away , like if you get a stent and it makes a leg better, etc. ?? ?, so we continue to fight to keep him above the 100%, in case they ever took anything away. Hope i could be of help to you! RC. I meant he went deaf from the clogged arteries, not death, sorry about that…the surgery they probrably want to do on your husband is a major surgery and it is scary but you probrably have no choice but to have it done, my husband did much better after he healed from it, but just continued to have trouble with his left leg. I will keep you and your husband in my prayers! sry for having to reply in seperate boxes but for some reason my pc will bring up error if the comment is to long when i try to send it. Did the VA do all your husbands surgeries? My husands diabetes is bad, he is on the most oral meds you can take , so if his numbers dont come down he will have to do insulin, he also has neuropathy in feet,leggs hands,arm. , kidney problems-extremely alot of protein in urine on a regular basis(which they havent asigned him to a kidney doctor, which i think he needs one now) high blood pressure,high cholesterol, cateracts, beginning of glaucoma, and ptsd. He takes 15meds a day, from pain meds.,sleeping pills,zanax,blood pressure meds,cholesteral meds,blood thinner meds-325aspirin,the list goes on and on. His rep told us once you become 100% total and perminent unemployable your % will always remain, so im not sure why your saying they can take a % away. The only way they can take a % away is if your NOT perminent disabled. Is your husband 100% perminent disabled or just 100%? Also i noticed you said your husbands kidney arteries are occluded now. My husband has kidney issues and i was wondering how did they diagnois his arteries are getting occluded and did he have any symptoms?-like protein in urine etc. My husbands over all health keeps declining. It just seems like there is so many medical problems wrong with him from head to toe now , that all i do is keep praying that these doctors treat him and do the right things. There are so many veterans it seems like suffering from all these issues. I still say had my husband known about and been more educated about all this agent orange stuff and how terrible it really is, he might have stayed ontop of his health better and get yearly physicals. When he first found out he had diabetes, the doctor told us he was on the verge of dieing from the diabetes because he had it for so many years and didnt know it, until all these severe secondary issues appeared. I hope things continue to get better for your husband and try to stay strong through it all. God bless and my prayers are with you both. This sounds good, but, how many claims were denied and have to be appealed? Their are 256000 claims in the appeal system now. My brother served two tours in Vietnam and they are on his dd214, and he has had 2 by pass surgeries and lots of Drs statements in his records and still was denied and had to appeal. Myself I was stationed in Thailand and our small army based was sprayed and the MPs can have presumptive service connection but not other MOS’s, My friend stationed at the same base unfortunately has parkinsons and no longer could talk and sadly he passed away last Saturday still waiting on his appeal. So if someone wants to print the total story and not what makes the VA look good, Veterans might be interested in reading. My husband filed his intial claim in August 2010. He filed an appeal after getting 10% for his heart condition. He had a heart attack and 3 stents inserted. He lost his job over his time away. We live in California and are an at will state. He filed his appeal January 2011 and we have been sitting in the same place for over 18 months. I would really love to believe that the VA is really doing something since we have to deal with Oakland VA which they say is the worst. One can only hope that things will get moving now. I know that we won’t hold our breaths. Oh by the way it really doesn’t help to write your Congress representatives, we have written dozens of times with no real help. They write the VA a letter, they respond saying they will be doing something and here we sit. I completely understand how your feeling about the whole process. They give you 10% because that makes them look like the original claim was processed, but what they’re not saying or doing is processing these appeals in a timely manner, which saves them lots of money. If they would have rated the claim properly in the first place there wouldnt be all these backlog of appeals. They well know that the ratings are not done accurately. Its just away for them to not have to provide the veteran with what he really deserves, hoping he will just go away. Veterans arent going away anymore. They are going to continuely fight for what they deserve and if the veteran is unable to do the fighting , spouses or family members are stepping in. So why not just do it right the first time around, so that these veterans and families dont have to wait years before they get an actual claim awarded properly. It truely makes me sad to think someone could do this to a veteran who has protected them and made there country a better place to live. I am a Volubteer counsellor at a Naval Station. We are near a Region. The backlog is enormous, Our primary function was retired affairs BUT now we are invoved in Widows claims and benefits, Voc Rehab CRSC as well as basic claims. The problems with claims goes further up the food chain than the VA it goes all the way to DOD. The VA needs records to approve a claim and if DOD has them they may or may not send them to the VA because before they release them they have to weigh whether or not releasing them will disprove what they had been telling the public. If the records coinside with what they have been telling the public in the past then they are released if not then they hide them so the VA can not approve the claim. Something must be done to force DOD to cooperate with the VA. I wish that we could believe this and I wish that the promise of just one more year for those not involved in these claims sounded like hope for those of us who find that one more month of waiting for the VA to get around to us is a day to day survival process. I wish that instead of downsizing the active duty military we could add a tech school and a rating for active duty military to be trained claims adjudicators and they could be stationed at VA Regional offices until this crisis is turned around. Isn’t it something that we can use the military as policing forces to try to maintain security, peace and build democracies in almost any other country that has issues, sometimes wether they want us or not. We use them in natural disasters, we use them in times of crisis like 9/11. Let them be trained and used to help clear the backlogs and get the critical care and help to their brother and sister veterans. There are solutions to the VA crisis and it just takes listening to Veterans to try and find them rather than task force creation which just seems to cause things to get further behind. It is good to hear that the Agent Orange claims are being processed. It is also nearly 50 years in coming. I am a Vietnam Veteran (not combat) but if I were an Iraq, Afghanastan or Gulf War Veteran I would feel pretty dismayed with this news. I certainly would not feel like I could relax because my Department of Veteran’s Affairs was on top of their game. I am USAF veteran (1981 – 1992) with a 20% sc disability rating. I’ve been on high blood pressure medication for 6 years now. I have had 2 breast biopsies in the 1990s; results were benign. Want to know what chemicals were sprayed & if they contributed to my bhp &/or calcifications in my breasts. I submitted a claim in 2011 for Parkinsons Disease related to Agent Orange exposure. Prior to this claim I was rated 20 percent for diabetes Mellitus and determined from from exposure to Agent Orange when in Viet Nam. Although it has been established may claim was sent to the VA Fast Tracking Processing. On May 26, 2011 I receaved VCAA letter with instructions on documents required. All documents were submitted and on November 5, 2011 I recieved VCAA notice on the Fast Track web site and it was the same letter I received on May 26, 2011. My status on the web site states “Decision Pending” with no further communication from the VA. I have submitted requests as to what else I need to submit with no response from the VA Fast Track Claims Processing center. Lost in Fast Track? On all other matters the VA has been very responsive on my mental health and medical needs and I give them high marks. The best of staff and very responsive. 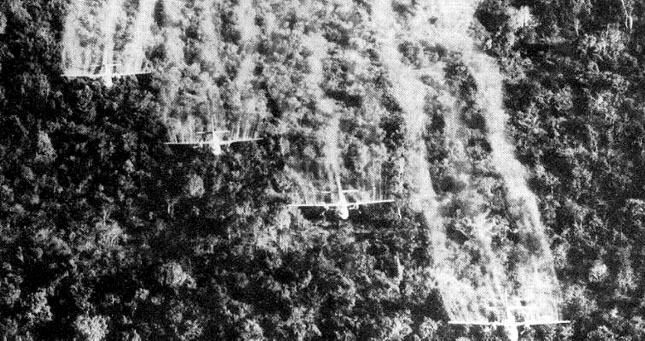 As a Viet Nam combact Vet, I was sprayed with Agent Orange as a C123 flew over us, I had no idea what the liquid was. Those who handle the clamis are still trying to figure out if the High Heart Rate, Hign Blood Sugar, two occassions treating for Skin cancer, etc. is connected to Agent Orange. Having said that I have to say that the treatment I receive from Jacksonville Out Patient Clinic and Gainesville Hospital have been OUTSTANDING. I appreciate the service the VA has provided. You need to contact your district congressonal leader with this, if you have diabetes it is one of the top listed on the disease’s covered from AO exposure. my husband is a viet nam veteran has applied for all of the benefits has been through the ringer from the va since 1980 and has yet to receive any kind of positive feedback . I dont have a problem with veterans of today getting taken care of but, the viet nam veterans should come first they got nothing but crap since they came home from viet nam and the va has done nothing but treat them like crap.Its time for this gov to take care of them to the fullest .if anyone would like to join me in the fight for viet nam vets i will welcome you with open arms i could use the help . wifes ,daughters .sons, grandchildren, whomever has a viet nam veteran in their family. it is about time. It has been years since i claimed about agent orange. But who knows if i am going to be awarded. Like everything else with the V.a it is slow and put on the back burnner.something has to be done with the V.A. health care. The congress and senate does not care about veterans. It is a shame that other countris look at us discusted that the united states dos not care for their veterans like europe does. sir, my father is also the survivors during the said ww II the named is PABLO G. RUIZ and we are still hoping to recieved his equity compensation loan,my father is very and sick now because he sufferred on vascular accident(stroke,)we have already sent the important ducuments,we are hoping to your generosity.please help us. sir,the last letter we recieved is last dec.30,2011,.from your office here in the philippines.DEPARTMENT of VETERANS AFFAIRS.in this last letter we recieved sir,they said that we don’t have to write them now or reply their letter in the meantime but untill now we don’t recieved any letter now so please sir help us,. USS Oklahoma City (CLG-5) is on the ship list. It docked in Saigon July 21-24 1969. Where you aboard then? If you were on the Okie during this time period you are presumed to have been exposed to Agent Orange. Any other time is a no go. Having problems with my daughter and grandson, with anxiety,add,ahad,segers.Are there any connection? Had to adopt him at 5 he is a problem at 22 and I need help with him after my wife passed away last year. Daniel, the only disease that the govenment will acknowledge as being in the children because of the vietnam vet being exposed to Agent Orange is Spina Bifida in women vietnam vets…..who knows what other things are caused from the chemical…My husband served in viet nam and we lost our son to AML leukemia when he was 14 and our daughter has a brittle bone disease but the government won’t acknowledge them even though i found studies were performed because they thought there was a link between agent orange and AML in viet nam vet’s children…if they are going to do studies then they need to make sure they include ALL viet nam vets children when they make those determinations…all we can hope is that sooner or later (and let’s hope it’s sooner) that they will really look into the true problems we are having out here..
My claim was submitted on 2/17/2011 and has yet to really begin processing, so pardon me if I don’t believe the article about VietNam vets claims. I filed a claim August 2011 and I recieved a letter in march that my claim was being processed but do to the back log, VA did not know when it would be processed and do not write or check statues because this would slow down and hinder my claim being processed. I have been waiting since 12/28/2010 for my claim to be processed and it has not moved past the gathering evidence stage even though all the evidence is at the VA hospital and I applied for hardship and contacted my local congressman. RECENTLY I FOUND OUT THAT I MAY HAVE BEEN EXPOSED TO AGENT ORANGE, SINCE I WAS STATIONED IN UDORN RTAFB, THAILAND IN 1968 AND WORKED ON THE FLIGHTLINE AND NEAR PERIMETER—- IT WAS SPRAYED WITH AGENT ORANGE. I AM A SERVICE CONNECTED VET GOING TO ANN ARBOR VA IN MICHIGAN. First, I don’t own the website that Iisted. It belongs to a fellow VN Era Veteran friend. John, congrats on your SC award. I assume you are awarded for AO presumptive conditions? I know of other Thailand Vets who are having a very difficult time getting claims approval for AO conditions. I filed on 9/28/11 for heart conditions. Received my VCAA letter in April 2012. They keep sending my cardiologist the same form to fill out, which he does and I scan it and upload it. My claim is still in the development phase. Be patient my friend.I filed sept 2010 after having heart attack.It took quite awhile in development stages.You just need to check with them every sixty days or so and give them anything they ask for quickly.Finally in April this year I was given a airy percent rating and received a first payment of all back monies to the time I filed and am receiving regular deposits now.Be aware though that unless you are 100% rated you will have to pay state taxes.Currently filing additional request for upgrade to100% due to new diagnosis of diabetes.So just be patient and it will come.